“When God created Earth he decided to make a place for himself, the place of wonderful beauties of nature that could not be seen anywhere else. And God created Lika!……. Croatia is an ecological corner of the modern world which fascinates with it’s unique harmony of the beauties of the nature. Each Croatian’s region has its own feature and this much of nature’s contrast is really rare. Our region – Lika, is embraced by the largest and the most beautiful Croatian mountain called Velebit. 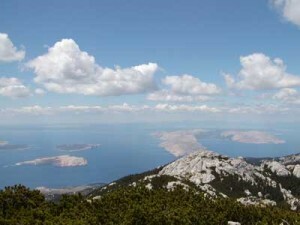 Velebit in its entire length divides Lika from the Adriatic Sea. There are National parks such as “Sjeverni Velebit” (North Velebit), National park “Paklenica” , as well as Nature’s Park “Velebit”. The southern part of Velebit is surrounded by the river Zrmanja. The embrace of this mythical and unexplored mountain ends with another National Park called “Plitvička Jezera”. This unexplored rich nature encouraged us to come up with the model of adventurous programmes that will hold you up in time and give you the opportunity to become the mountain climber for one day, other day a caver, third day to row at sea or river… … Besides climbing, speleology, sea kayaking and canoe safari there are some other surprises. Look Our Facebook profile and comment our adventures. Look Our Cool Adventure Videos on YouTube Channel! Adria Velebitica is a tourist agency for organizing the adventure programmes and activities in Croatia. We are specialists in different kind of holiday and combine offered tours through programmes that include several days, weekend or one-day activities.